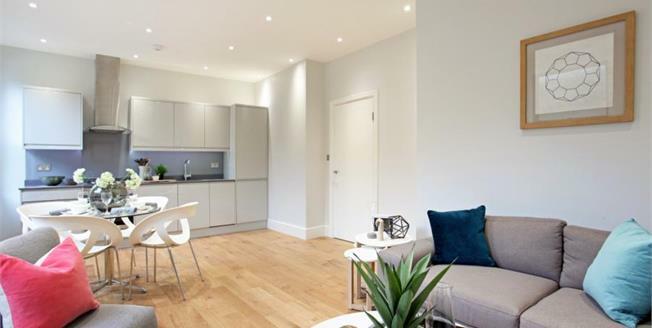 Sefton Lodge is a stunning collection of 14 one and two bedroom converted contemporary styled apartments in Windsor. This stunning development is on Clewer Hill Road in Windsor, having localised facilities with Windsor town only 1.5 miles away. The town itself offers an abundance of shops, bars and restaurants. Commuting could not be easier with the M4 being within 2.7 miles and M25 in 8.2 miles. Windsor mainline station is direct to Waterloo in 50 minutes. Plot 6 is a one bedroom ground floor apartment offering a modern open plan living space incorporating kitchen with built in appliances. Other accommodation includes double bedroom and three piece bathroom suite. Other features include gas radiator heating and outside is communal grounds surrounding the building and allocated parking. Please contact Carson & Co to arrange a viewing.